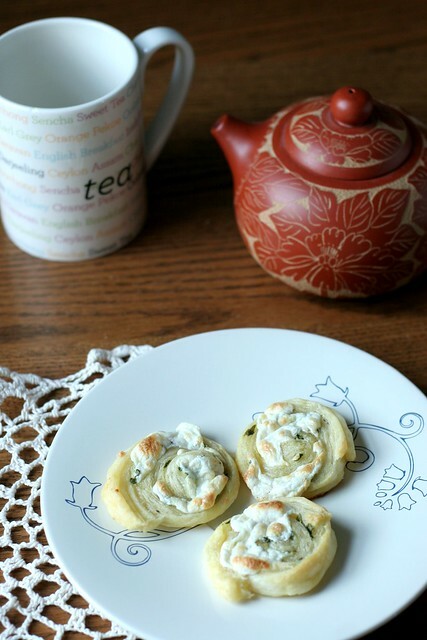 These basil pinwheels are lovely little creatures. I love a sheet of puff pastry. The possibilities are endless! You could make something chocolatey, cheesy, salty, fruity, spicy or sweet. Of course it's more adventurous to make your own puff pastry, but when you're short on time the frozen version is a great shortcut. 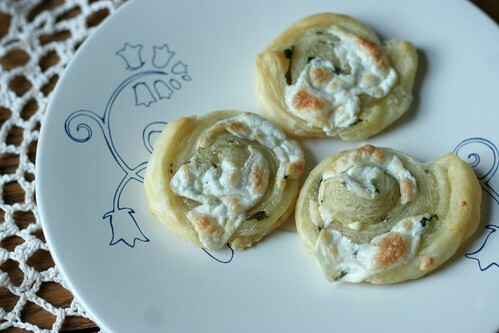 I started by laying out a thawed sheet of puff pastry, then brushed the whole thing with egg wash. Then I chopped up fresh mozzarella and basil from my garden (aka the only thing that's really growing well...) and sprinkled it over the whole thing. 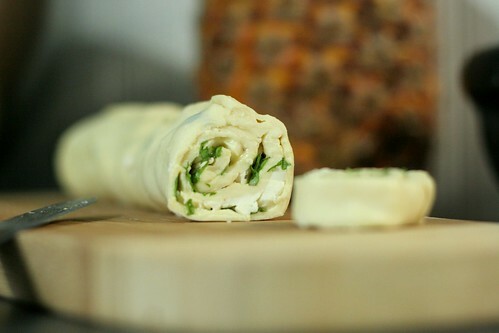 Then roll it up as tightly as possible before slicing it into 1/2 inch slices. 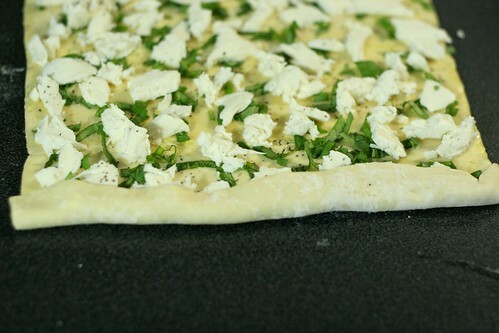 As it bakes, the mozzarella kind of oozes out and gets slightly brown. It's really delicious with bright, summery flavors. Keep it in mind for your next barbecue - your guests will be surprised when you serve this instead of baked beans! Let the sheet of puff pastry sit out at room temperature for about 35 minutes, until its mostly thawed. Lay it out on the counter top and make sure the fold marks are smoothed out. Beat the egg and water in a small bowl, then brush it all over the puff pastry. 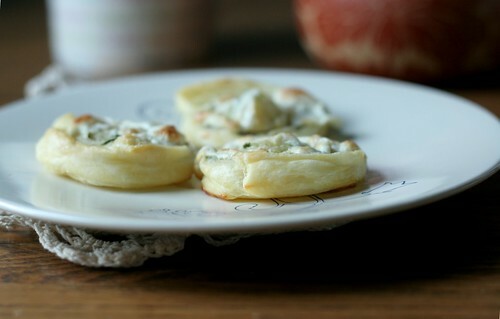 Chop up the mozzarella cheese into small pieces, then place evenly over the puff pastry. Do the same thing with the basil. Season with salt and pepper. Starting at the bottom (the smaller side of the rectangle) roll as tightly as possible. Then, using a sharp serrated knife, carefully slice the roll into 1/2 inch pieces. Let the knife do the work, don't press down too hard. Place the pieces on a cookie sheet sprayed with cooking spray and brush each pinwheel with remaining egg wash. Bake for 15 minutes or until the pastries are golden brown. Remove the pastries from the baking sheet and let cool on wire racks for 10 minutes.